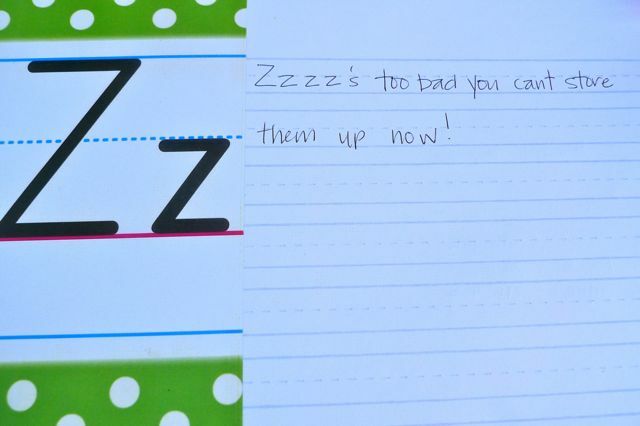 make something: A-Z necessities for the new parent. Words of wisdom and keepsake book for the baby shower. We had an alphabet theme for my sister's baby shower (in case you haven't caught on to that by now!). 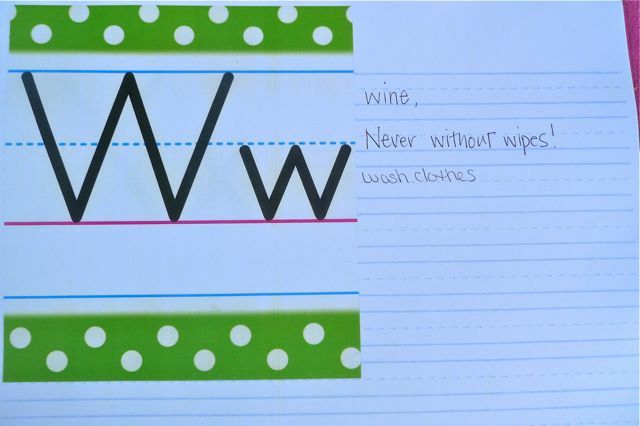 One day, while at Michael's, I came across a made-for-teachers bulletin board alphabet with green polka dotted trim. It was super cute and I liked the idea of bringing it back to elementary school and learning to write. Especially since my sister is a teacher. I wasn't sure exactly what I was going to do with it when I purchased it but then it came to me. I was going to make a book! A book where guests can share their wisdom with the new parents in an A-Z format. It is not only a great activity for the guests but a keepsake for the new mama. Cut out each letter and pasted it onto a piece of lined writing paper, color photocopied each page to make it seem more finished otherwise the heavy cardstock of the letters was to weighty for the lined writing paper, made a front and back cover which I laminated, and then had the whole thing spiral bound. Pretty simple. On the back page we all wrote in our name and our guess for the baby's birth date and weight. I think it was a pretty good idea! A lot of times a shower invitation will contain a card that asks you to write something and bring it with you to the shower. I always forgot mine. Doing it right at the party seemed like a better idea. It's simple one word or short sentence format makes it an easy thing to do even as the presents are being opened. A photo book for a more finished version. Take pictures of all 26 letters, maybe from signs that you see around town or even from books or stencils. Make a photo book online putting only the letter photograph on each page and leaving the rest of the page blank for writing. You could mix in prego pictures of the new mama or the happy couple. Or even photos of the couple from when they were a baby! 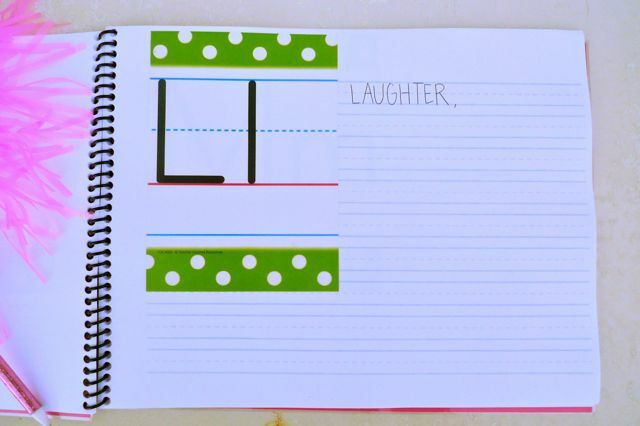 Or for a more home made scrapbook feel, just paste letters to a pre-bound white page sketch book or small scrap book, heck, even blank pages in a three ring binder would do the job! Pass it around and see just how clever your guests are!